*This is a small class. Please apply through the link below if you are interested. Please complete this application. We will notify you if you are accepted into the class. Registration Deadline: November 5. Why you should take this class: It’s easy to believe that there’s a kind of magic to writing—an inexplicable something that makes a word, a sentence, or an essay beautiful. Where does that magic come from, and how can it be replicated? In Slow Magic, we’ll slow down and listen to the meter. We’ll break down sentences and poems and strip them down, word by word, to see how they are formed, then use the tools we’ve learned to write new ones. This course will use poetry and poetic form as an entry point to writing more deliberate, beautiful, and effective prose. If you’ve ever wanted to write poems but never thought of yourself as a poet, or if you’ve ever wanted to have the opportunity to deeply engage with your writing on a sentence level, this is the course for you. Course description: Starting with the very basics, we’ll read some of our favorite poems, sentences, and song lyrics for scansion and meter. From there, the course will turn to different poetic forms—sonnet, sestina, ghazal, and more—to explore how form can affect content, and to nurture writing with an ear toward lyricality and rhythm. Drawing from contemporary poets such as Kaveh Akbar, Max Ritvo, Ada Limon, Jos Charles, and Anne Carson, and historical poets ranging from Shakespeare to Sappho, we will examine lyricism, maximalism, concision and revision with an eye toward learning how to convey exactly what we mean. The course will culminate in a polished prose piece (or long poem!) demonstrating the principles covered. 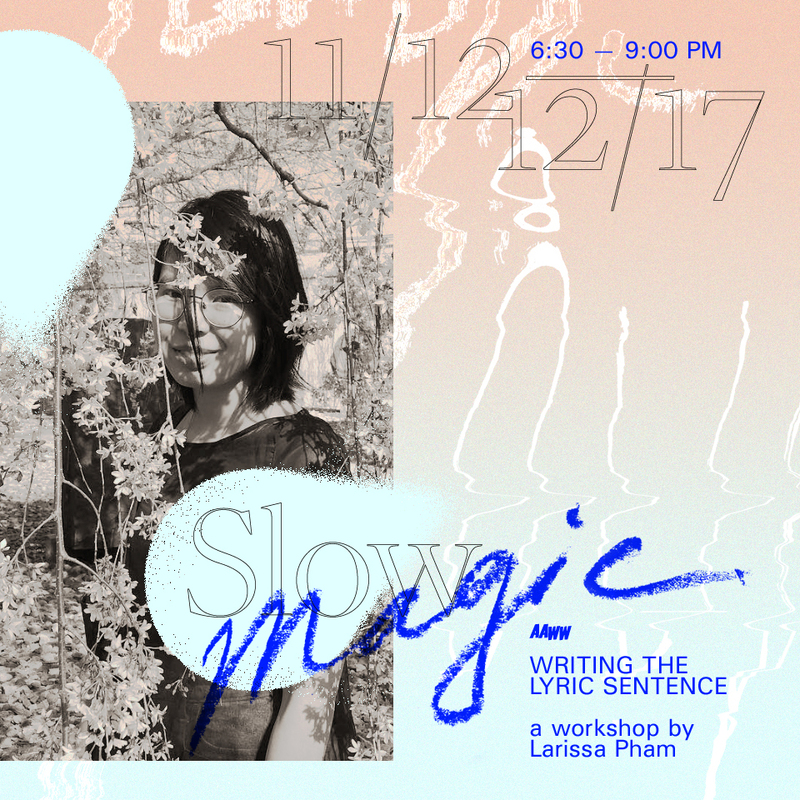 Participants will be expected to work on one long piece throughout the duration of the class, as well as to write new work each week and participate in workshop discussion each week. 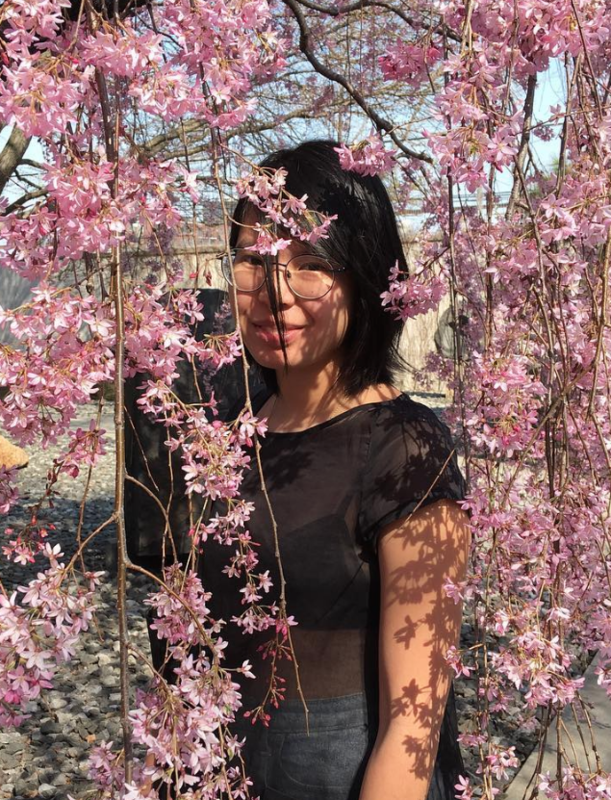 Larissa Pham is a writer & artist living in Brooklyn, New York. Her writing has appeared or is forthcoming in The Paris Review Daily, Bookforum, Guernica, The Nation, Rolling Stone, Village Voice, Verso, Adult Mag, New York Magazine, ELLE, The Rumpus, The Hairpin, Gawker, Garage, Broadly, Packet Bi-Weekly, and elsewhere. In 2017 Larissa attended Jack Jones’s Literary Retreat as the inaugural recipient of the Yae Di Up Fellowship. She is the author of Fantasian, a New Lovers novella from Badlands Unlimited (2016). She is currently working on poem club, a project that activates poetry through a combination of code, aesthetics, and audio components.